Not everyone lives a greeting-card like holiday. Between the fast-paced pressures of life today and the added burdens of financial strain, even happy families and singles alike can face holidays filled with angst, disappointment and frustration. Add to today's stresses the disagreeable experiences we’ve all experienced from one holiday to another and it’s no wonder why most people dread the entire holiday season. No matter what your past holiday experiences have been, your current situation looks like or the new challenges you’re facing today, you really can experience a holiday season full of love, peace and joy. If you had a magic wand, what would you create this holiday? Actually enjoy yourself this holiday season? Experience real connection and love? Learn how to find and accept support? End Family Feuds for good? Leave this year more prosperous? Heal grief from lost loved ones? Enter the New Year ready to create more and regret less? Feel what it's like to have control over your life? You Can: Holiday Harmony will teach you how! Through this Holiday Harmony program you'll learn how to use personal energy modalities, such as Emotional Freedom Techniques, combined with conscious intentional manifesting. By learning to release the stuck energy of pains old and new, and engaging the powerful resources you have to create the experience you truly desire by effectively employing Universal creation laws such as the Law of Attraction and more. Holiday Harmony teaches a proven and gentle self-applied acupressure method combined with guided statements that connects the mind, heart, body and spirit in a conscious release of the unseen blocking or binding forces called stuck energies resulting from any trauma, negative imbalance or dysfunction. These gentle yet effective techniques have been proven effective often where nothing else has worked and on everything from physical pain to relationship dysfunctions, overwhelming grief to financial difficulties. Once stuck energy is released acute conditions are often cleared instantaneously, and long-term patterns are easily corrected. This season, give yourself and the world around you the gift of a peaceful, enjoyable time of wellbeing and love. This Living Harmony program will not only teach you the tools you can use to release the things that keep you from experiencing the joy and peace you desire, it'll support you in learning to create with conscious intention the kind of holiday you may never have experienced before. This season, give yourself the gift of Holiday Harmony! Experience the power of group energy work while addressing some of the most challenging areas of your life in relation to the holiday season all from the comfort of your home or office computer, phone, mp3 player or smartphone! Workbooks and pre-recorded guided classes round out the entire series giving you the tools you need to really clear away the negatives so you can successfully create a more positive and harmonious holiday experience. 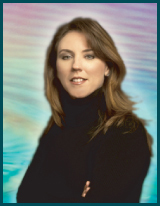 You're about to Learn the Real & Secrets of Successful Manifesting From World-Renowned Energy and Success Expert, Cathleen Campbell. Holiday Harmony Reveals How These Proven Methods Really Work, So You Can Learn to Manifest Harmonious Holidays Successfully too! For years I've studied the Law of Attraction, feng shui and everything in between in an effort to finally have the success I envied in others. I wondered what was wrong with me, because even with a PhD. I coudln't get it. I struggled and suffered, and I wasted thousands on this stuff and therapy too. Cathleen's got the answers and her warmth, understanding and fun presentation made me realize I wasn't the looser I always felt like. Within a few days from the holiday master class on manifesting, not only did I start manifesting a better holiday experience but I was already humming in other areas too: my boss actually told me they'd felt my energy getting more enthsiastic and he gave me an unexpected raise! There's NO way I would have had this happen without learning how to flow my energy to what I want to create intentionally. Thank you Cathleen, you're the best! Experienced manifester, or new to the entire concept of intentional creation? You’re about to learn how to apply amazing amounts of energetic resources you never knew existed to create more and more of what you deeply desire. It is not helpful to force positive thinking or feeling especially in the face of overwhelming pain such as in the case of grief or financial hardship. In fact, forcing the positive can be incredibly destructive! In this brand-new live tele-class, How to Manifest Holiday Harmony, you’ll not only learn how to harness the powerful energies you have within and those around you to create what you want but as you follow along you’ll already be creating a new experience in holiday enjoyment. Best of all, as you follow along with other participants, you’ll access group energy to help supercharge your own intentions! Align your energies with what you really desire instead of fixing what you don’t. Harnessing your super powerful subconscious mind to actively seek out experiences of harmony and joy. Magnetizing yourself to the very thing you want...Holiday Harmony...Now! If you aren’t already enjoying the anticipation of a happy and harmonious holiday season, either the way you want to or perhaps the way you remember, my heart goes out to you. Maybe life in general has gotten you down, or perhaps it’s just this time of year. Either way, right now you’re looking forward to several weeks of these unhappy feelings and the difficult experiences that go with them, and that’s not fair. You’re not alone. I personally understand how it can feel. It’s sad and disheartening, frustrating and can even make you have feelings of anger and isolation. All the frivolity, the forced glee and affections not only make you feel uncomfortable but can sometimes make the burdens you’re already facing seem unbearable. It seems impossible enough to get all we have to accomplished throughout the year, and the holidays push us even further. Throw in the overwhelming and relentless pressure to buy and give presents you either don’t want to or can’t afford, and we have to wonder why the heck we participate in any holiday at all. Whether you are simply living out the inevitable results of increasing family discord made more intense during the holidays, you’re out of work, have an overwhelming painful physical challenge or perhaps you’re alone…it may seem impossible, but I can guarantee that you really can create a new experience and maybe for the first time ever enjoy yourself! Holiday Harmony is a proven program I developed to help people just like you learn some of the amazing energy tools I use in my regular practice teaching clients to release painful emotions, thoughts, patterns and habits so they can create a new experience of life. My clients regularly release decades of painful experiences and memories and go on to create new jobs, renewed family relationships, new love and an abundance they never knew possible. And now you can follow along with my students around the globe to learn these same tools and help yourself release the pain you carry that keeps you from experiencing peace, joy, love and abundance during the holiday season and beyond. The program I’ve created is the only one I know of like it. For a series of short classes, the results are astounding! Just follow along, listening to me and the class participants for the pre-recorded sessions and voila a huge shift in your experience of the holiday season no matter what your religious affiliation or not. Each class guides you though so you’ll easily pick up the techniques that you can continue to use on your own long after the holidays are over. This program isn’t about forcing you to forgive and forget people who treat you callously, or to ignore your current reality so you can pretend gratitude on the outside while feeling afraid and bitter about finances on the inside. It’s about real release, it’s about learning the How-To of letting go for good. Once you let go of the pain, you’ll be able to consciously choose who you want in your life and how you want to interact with them. You’ll have the freedom to make good financial decisions for you, regardless of what it seems everyone else is doing. Without the burden of all this painful stuck energy, you’ll finally be able to feel the peace from within the holidays are meant to convey. Whether you are a woman or man, single or married, with our without children, alone or just alone in the crowd…Holiday Harmony will teach you how to create the holidays you want to experience. Successful people everywhere have known for as long as time the real secret, and it's time for you to embrace the truth too: you really DO have the power in you to manifest your needs and your dreams. Read on for a description of the many classes you'll access with this program supporting you to learn how to manifest Holiday Harmony! One payment of $97.00 will give you all the coaching, training and support you need to get started on your best holidays now. My clients regularly pay up to $1500 per session with me to learn just some of the very same techniques you'll learn in this wonderful program. With Holiday Harmony, you'll have a ready coach offering hours of uplifting, inspirational and instructional guidance whenever and wherever you need. Whether you are just getting started, or are already a client or student, this program is a terrific tool to help you unearth and release your own stuck pain, unproductive beliefs and patterns so you can harness all that wasted energy and direct it to create life the way you want it. Bring Holiday Harmony with you! Now you can use your portable device to access your Holiday Harmony program including all of the recorded classes, workbook and meditation. Not sure Holiday Harmony is for you?Read on to learn specific information about each segment of the Holiday Harmony and some real-life comments from people just like you who decided not to endure another holiday season filled with pain and frustration. You can also check out the Holiday Harmony Blog for more insights, inspiration, instruction, tips and techniques...including some of my favorite recipes! People from all over the world are leaving their comments, testimonials and questions. Please join our discussion. Too Busy, Beleaguered and Behind to Enjoy! Imagine my surprise waking up the next day after the first Holiday Harmony class feeling calm and rested. My life is so hectic and pressured, I'm overwhelmed already so the holidays usually send me over the edge. I just try to get through it with my head down, waiting to let my breath out. But this year I'm not only feeling in control at home, I'm really getting in control at work too! My usually difficult boss has noticed and praised me for my increased work. I'm actually getting home at a decent time and have energy to enjoy my personal life. It really is a miracle! It’s not just in an economic downturn that we worry about holiday finances. No matter what you personally celebrate or don’t, there’s a good chance that your expenses, both personal and business, will rise during the last quarter. The cost of sending greeting cards alone can feel overwhelming. But add to these the costs for those who give gifts to family, friends, colleagues and clients. It’s no wonder why statistics show most people actually begin the new year carrying debt from their holiday purchases alone! It can the better part of the current year to pay off last year’s holiday spending. This recurring issue is actually one of the biggest reasons for recurring debt: for carrying over old debt, especially one that may carry a compilation of resentful feelings, holds us squarely in the vibration of lack. It seems the only ways to manage this ongoing and emotionally draining challenge is to either cut everyone off, spend countless hours we don’t have attempting to personally craft gifts that never look like the magazine photos, or carry almost another full-time job over the year attempting to find bargain gifts that don’t look cheap. These so-called fixes still come from the vibration of lack, and therefore they continue to produce lack and more of it, fo the Law of Attraction multiplies what we are sending out! There’s another way, and it’s not only easier it’s far less costly in every area. In this class, you’ll learn that clearing the stuck energy of our holiday finances not only opens us up to bring true abundance into our lives, but gives us the tools to be able to experience what the holidays are truly about: giving from a place of joyful love. And that experience will multiply back to you over and over again, during this holiday season and beyond. For most, when it comes to health and fitness the holidays are a lost exercise in our strength of will. Yearning to either maintain or keep working at creating a thin, fit body, the deprivation that looms ahead can be incredibly painful. Do we stay strong and force salads while everyone else is enjoying a full holiday dinner with all the sides and sweets? And while we struggle to maintain exercising, we may just give into a rationalized “break” promising to return renewed at the beginning of the next year. Holidays, to those who are not living in their ideal bodies, can feel like a series of battles, each mostly lostcreating even more pain and disappointment. Now more than ever we need to learn and embrace the real truth that while proper nutrition and regular movement are important to our health, there is no good food or magic move that will transform our bodies into the icons we may wish to embody! And even more important is the connection between our thoughts, feelings and beliefs and the results we are living our physically. In this class, you’ll not only clear some of the most detrimental holiday fitness belief paradigms, but you’ll learn how you can actually turn your vibrational frequency around completely so that any deviation from your usual plan will actually help you in your fitness goals! Imagine going on vacation or enjoying your holiday returning to realize your body feels and looks better than ever! It’s not only possible, but when you take this class you’ll begin to set yourself up for this wonderful new true fitness reality! "Enjoying My Holidays For the First Time!" After the first session, I found myself actually feeling happy and almost eager for all the harried activities to come! Cathleen's a fun, caring and informative teacher and her methods work really fast. I can't remember ever having enjoyed my holidays, but now I'm actually having fun! Want to earn money while helping others learn to experience more peace, wellbeing, love and abundance this holiday season? Click on Holiday Harmony Affiliate to learn how you can add this outstanding program to your own blog, web site, articles and posts! Give yourself or someone you love the gift of Holiday Harmony today. For about $10 per class, the return on your investment will keep giving invaluable peace, love and joy throughout this holiday season and beyond. Get your Holiday Harmony tools right now, So You Can Learn to Manifest Harmonious Holidays Successfully too!